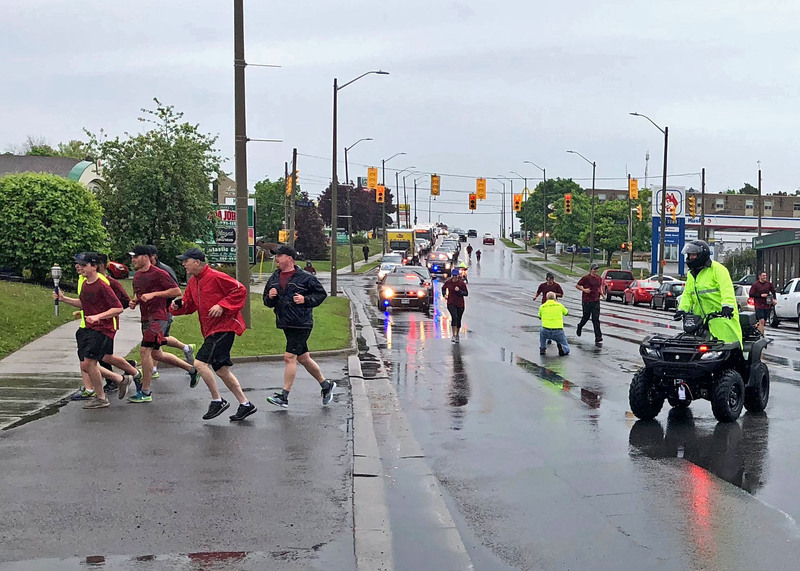 BELLEVILLE – The annual Law Enforcement Torch Run made its way through Belleville Tuesday morning despite a steady rainfall. The run brought together members of the city’s police force, athletes and supporters to raise awareness and funds for Special Olympics Ontario. 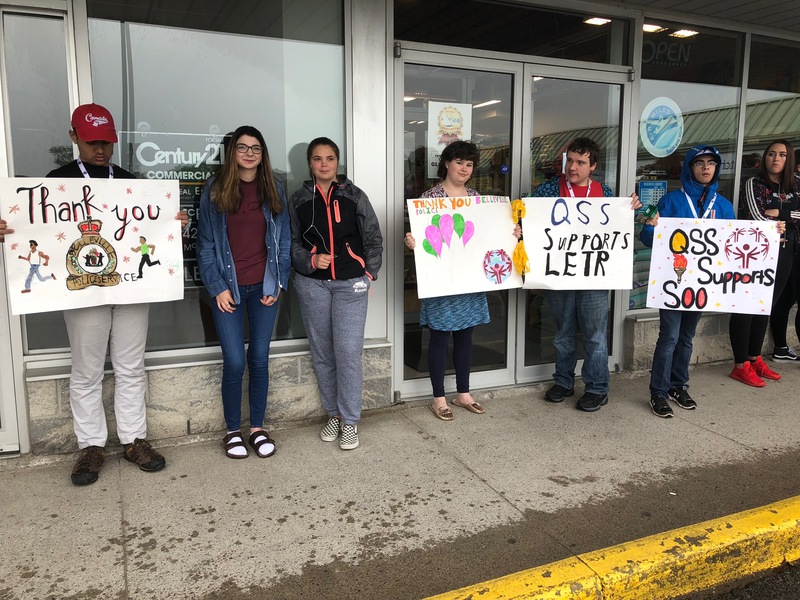 This provincial fundraiser benefits over 23,000 Special Olympics Ontario athletes, about 170 of whom live in the Belleville and Quinte West community, according to Det.-Const. Darrell Hatfield, who organized Belleville’s run. The money raised helps those athletes train and get to their games, and pay meal and accommodation costs while they’re competing, Hatfield said. 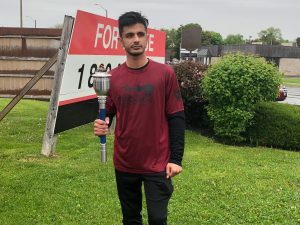 “The run really showed me how transformative it is to meet with the athletes, meet with other police officers and get together and do a fun run,” he said at the end of the event. About 25 police officers ran the torch from the Quinte Mall to the Metro supermarket on North Front Street. 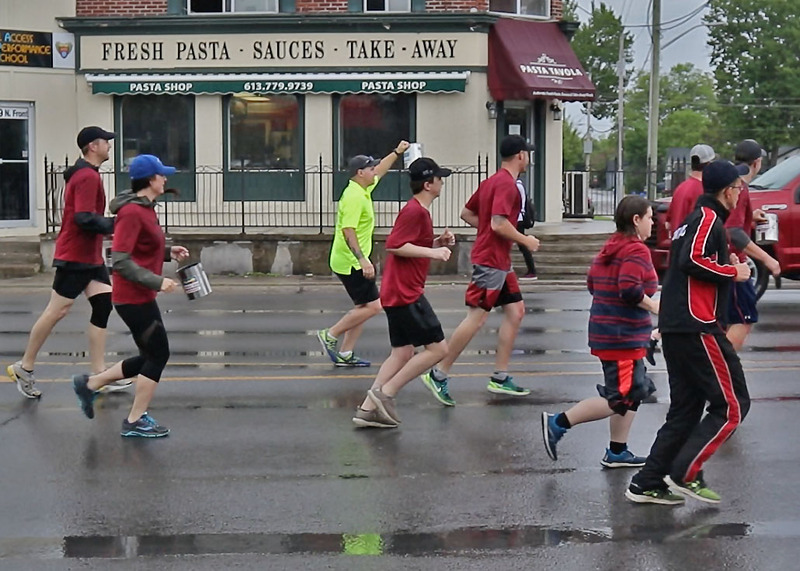 There they met with other athletes carrying collection buckets down North Front to Market Square. 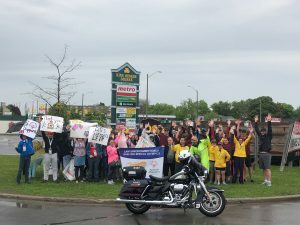 “Maybe we’re holding up traffic a little bit, but the idea is when people see us out there collecting money with those buckets, we’re also telling everybody why we’re doing it.” Hatfield said. 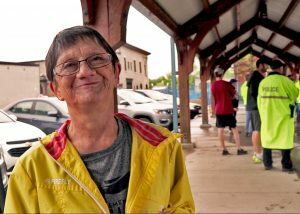 Anne Freeland has been involved in the torch run for at least 25 years and has three children who are Special Olympics athletes. 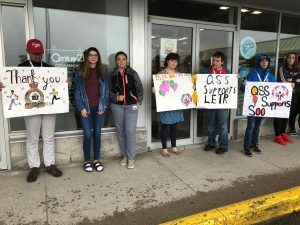 Events like these provide a social and athletic outlet for Special Olympics athletes, she said. 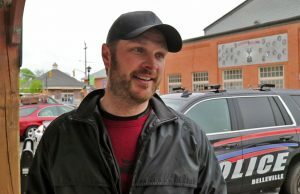 Jordan Wells, who was hired as a constable for Belleville Police in January, said this was his first event with the service and he’s looking forward to many more. “It’s a great cause. It’s really inspiring to go out and see these people run. It’s something I’ve always wanted to do,” he said. The run was the first of a number of initiatives the Belleville Police are planning to support Special Olympics Ontario. Hatfield estimates they collected $200 to 300 in the buckets. On Thursday, Belleville police officers will be helping servers at Lone Star Texas Grill for the annual Cops and Cowboys event. 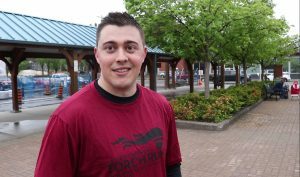 Hatfield said he expects to raise around $1,500 for Special Olympics Ontario. Across the province, the torch run has raised over $40 million for Special Olympics Ontario over the past 30 years.